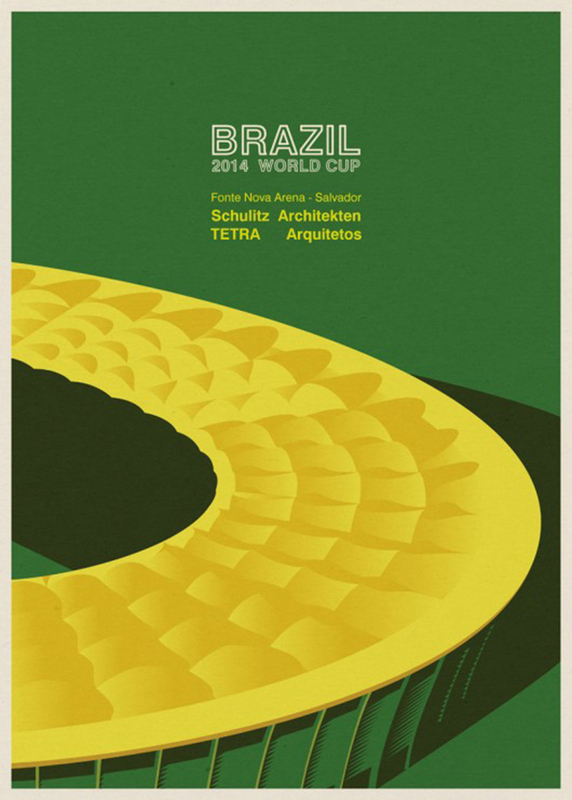 World Cup Stadiums By Portugese illustrator André Chiote. 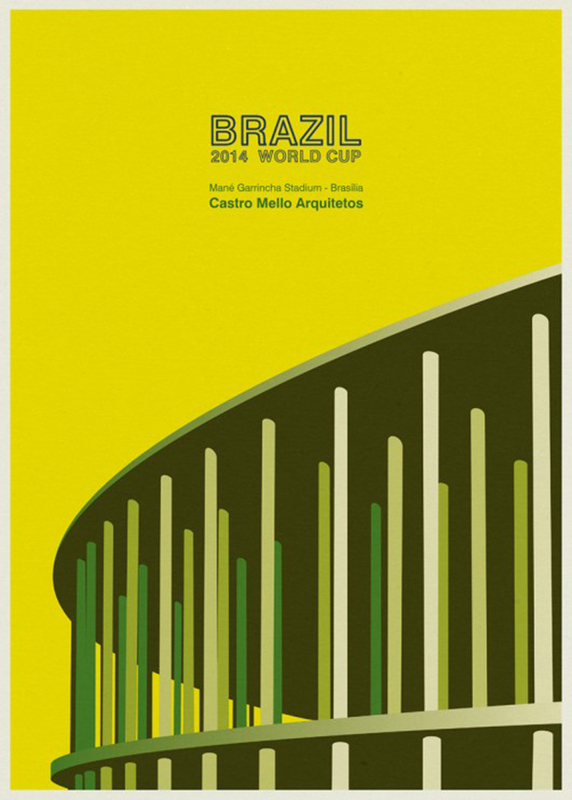 The 2014 World Cup is wrapping up and it’ll be another four years before football fever takes over the world again. Unless you have been living under a rock for the last month, you probably know that the current World Cup games are being played out in Brazil, with the final four teams playing the last semi final matches this week. 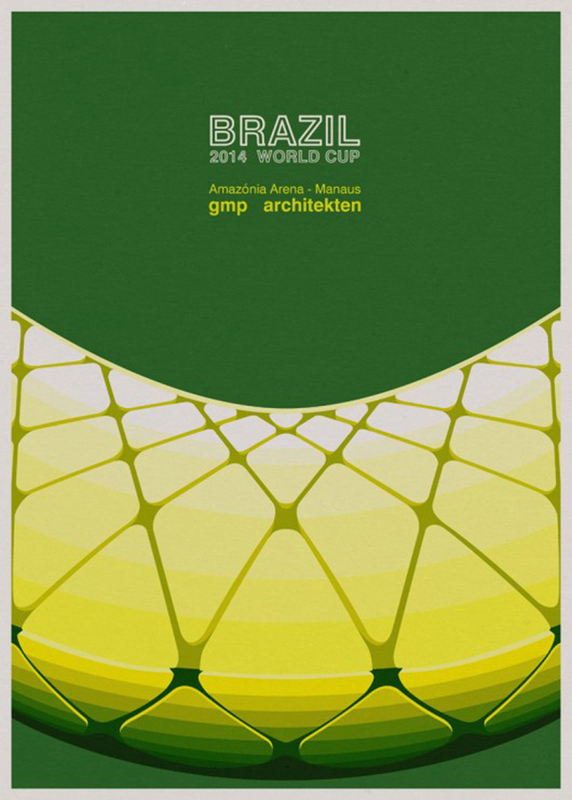 Over the last month teams from around the world have played in 12 stadiums across Brazil, and Portugese illustrator André Chiote has illustrated five o them focusing on unique architectural details, using a color pallet based on the Brazilian flag with green blue and yellow. 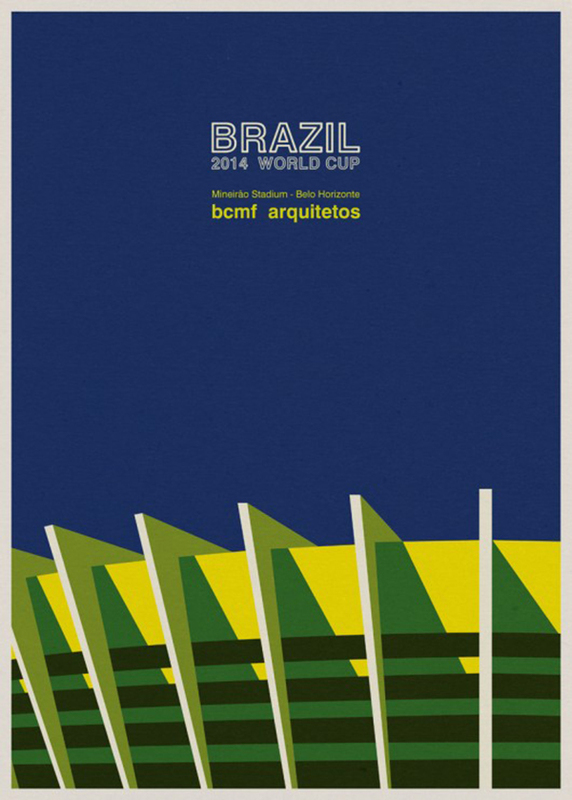 The illustration style is clean and simple with a nod to the international style of the 1960’s that brings a strong visual impact to the posters. Great stuff. 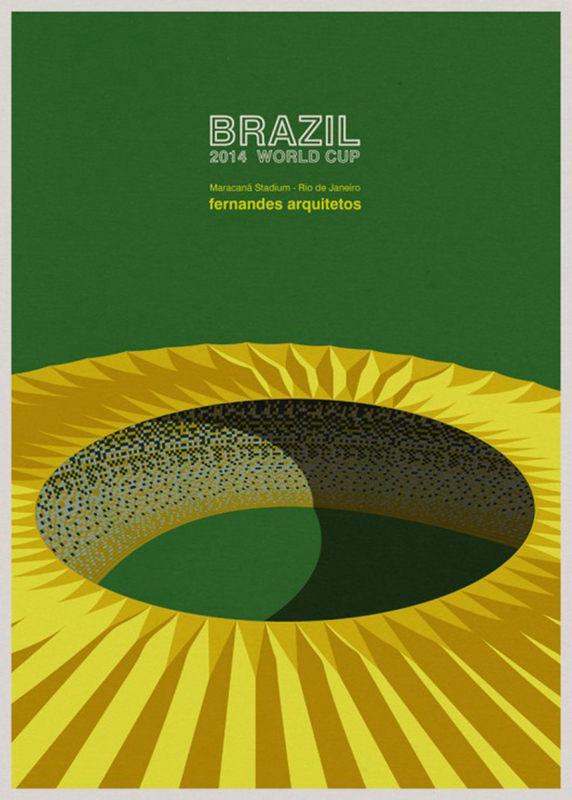 Posted in Design and Art and tagged André Chiote, Art, Brazil, Design, FIFA, Football, Graphic Design, Illustration, International Style, Portugul, Poster, World Cup on July 7, 2014 by Author.